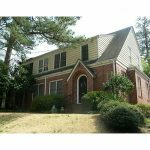 Morningside/Lenox Park is a residential neighborhood in Atlanta, founded in 1931. 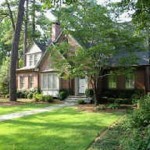 It is located north of Virginia-Highland, east of Ansley Park and west of Druid Hills. Approximately 3,500 households comprise the neighborhood which includes the original subdivisions of Morningside, Lenox Park, University Park, Noble Park, Johnson Estates and Hylan Park. 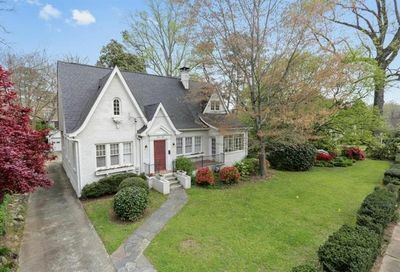 The growing neighborhood acquired a school when Morningside Elementary opened in 1929. Originally, the school had six classrooms on the lower floor of the western side of the current building. Enrollment grew, and a new building was commissioned and completed in 1935, providing work for the unemployed during the Depression. Development of Noble Park, Johnson Estates, and Hylan Park began in 1930. 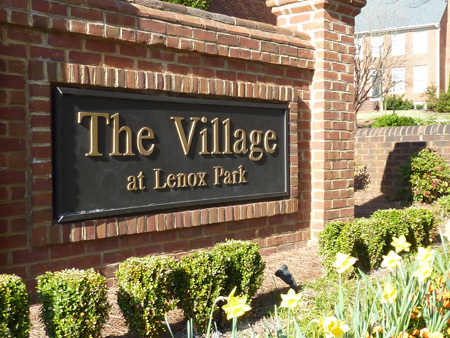 A year later Lenox Park opened (not to be confused with the Lenox Park area built in the 1980s only 5 miles further north), featuring model homes with names like “The Barclay,” “The Sussex” and “The Chateau”. 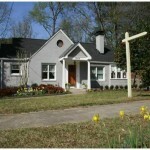 Atlanta architects Ivey and Crook designed the homes in Lenox Park. One of the things that makes the neighborhood such an attractive place to live is the old growth trees that surround the area. These trees provide homes to animals, much needed shade in the spring and summer months, and charm and character that many newer neighborhoods do not have. 1. Beech Valley Park, 1281 Beech Valley Rd. is a large triangular park with beautiful trees and shaded play area. 2. Herbert Taylor Park and Daniel Johnson Nature Preserve, border Beech Valley Rd. and Johnson Rd. The families of the namesakes donated these two large natural parks to the city. There are paths in this natural woodland floodplain park. A beautiful rock formation is located in the streambed. Rock Creek Watershed Alliance works with the city to maintain this greenspace. 3. Hickory Grove Park. 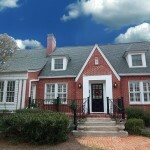 1695 Homestead Ave. This is one of our many passive parks in the neighborhood. 300 daffodils were planted years ago. Now they matured into a springtime spectacular. 4.Homestead Park, 1755 Homestead Ave. A wooded open space. 5. Lenox Wildwood Park, 1760/1746 Lenox Rd. This park is a continuation of Sunken Garden Park and the Morningside Nature trail. This park is the natural valley for the stream that meanders through this park. Two tennis courts and picnic area are in this park. 6. Morningside Nature Trail, Also known as Sussex Park, Located behind Sunken Garden Park and connects into Lenox/Wildwood Park. 7. Noble Park, 1710 Noble Dr. An open play area is next to the playground. The large Black Gum tree in the park is the recipient of the Park Pride, Big tree award in 2001. It is over 8 feet in circumference,73 feet tall and has a 80 foot spread. 8. Sidney Marcus Park, 786 Cumberland Rd. This is one of our largest parks. It is a byproduct of the I-485 road project that threatened to destroy the neighborhood in the 1970s.It is named after our late state senators who helped fight the freeway and save the neighborhood. 9. Smith Park, 1571 Piedmont Ave. This park was donated and named after one of the developers of Morningside. Located in the center of the park is a small water pond and fountain. Near the center of the park is a small plaque mounted to a rock, reading: James Robert Smith 1867-1926 Morningside Civic League Dedicates This Fountain July 22, 1932. 10. Sunken Garden Park, 1000 East Rock Springs Rd. This Park was cleared by the 1920’s Lenox Park developers for a formal rose garden to promote country living outside the city. The residents that lived near the Park would send their gardeners down to Sunken Garden to tend the rose garden. Over the years trees have been added to shade the playground in the hot summers. An open play area is in the front of the park. 11. Wildwood Gardens.735 Wildwood Rd. This park was transformed from a Kudzu jungle to a natural nature trail and garden area at the front of the park. 12. Morningside Nature Preserve. This is our newest greenspace. 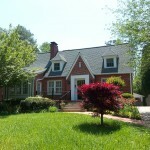 The 33 acres of woods was saved by the neighborhood in 1999. 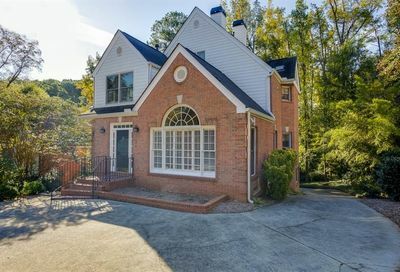 The Preserve is bounded by Cheshire Bridge, Wellbourne Dr., Wildwood Rd., and Lenox Road. Two trailheads connect to walking and biking trails in the Preserve; one on Wellbourne and the other on Lenox Road at the Georgia Power Substation.